And so it began. Three years ago, I escaped from a four-year stint working as a civil servant and went to Shakespeare and Company in Paris. Little did I know what a career change this would herald. The year I spent in Paris was my first foray into the book-trade and I haven’t looked back since. Down, down, down the rabbit hole of books, I have fallen! Since returning from Paris in 2013, I have worked at Foyles, Atlantis Books in Santorini, ventured into publishing as a Publicity Assistant at Granta, and I now manage The Notting Hill Bookshop. For one week in October, I revisited Shakespeare and Company and found that though lots has changed—there are new faces, new books, a new cafe, a new children’s section—yet it remains exactly as I remember it. 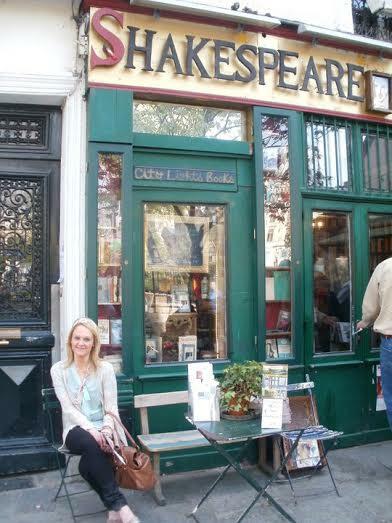 My time at Shakespeare and Company in 2012 ignited my love of bookselling, and taught me the rules. You need to know your books, you need to have ‘that’ passion, you need to be a team-player, you need patience with customers . . . lots of patience! But the magic of Shakespeare and Company is that once you’ve grasped the basics of bookselling, you’ll then need to tear the rule-book apart. The most cherished thing I learned there was that an independent bookshop, to be truly successful, has to make its own world, by building it book by book. It has to encourage change, be inclusive, share ideas, create energy and excitement, honour the books as much as the selling and, most importantly of all, have character. The business of books is different to any other business (thank god): It is forever in limbo, stuck in the middle of the new and the old worlds. It is not enough to sell books. In a world of transience, you need to know how to remain; in a world of change, you need spirit to last. For even castles in the air need foundations. 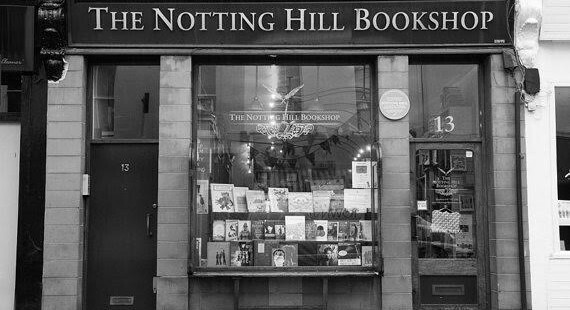 Now at The Notting Hill Bookshop, I feel a nostalgic fondness when I recall the sharp learning curve I undertook at S&Co—from the days of being surrounded by 50 tourists all wanting help finding a copy of A Moveable Feast, to fearfully running around trying to find a tea pot for Sunday’s tea party. Working in a bookshop that attracts hordes of tourists is a great, and at times daunting, experience. People from all over the world are drawn to these places because of the stories they hold and the stories they are a part of. So it is the job of the bookseller to do a magician’s trick and bring them into this strange and wonderful world, and make them feel they belong there. And whether tourists are looking for the ghost of Hemingway on the Left Bank, or a glimpse of Hugh Grant in Notting Hill, they are sure to find a bit of magic. Lucy Binnersley grew up in Wales, where she studied History at university. She moved to Paris for a year when she was 24 to study Modern French History and that’s how she discovered Shakespeare and Company. She is now manager of The Notting Hill Bookshop and a freelance Publicity Assistant at Granta.